PT Wijaya Karya Bangunan Gedung - WIKA Gedung or referred to as "PT WIKA Gedung" is a reputable company in Indonesia that is involved in property and high rise building construction industry. WIKA Gedung has core busines in providing a wide range of construction services in high rise building projects for private markets. Its business include building construction, technical services, investment project and land development, and property. 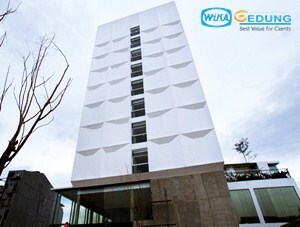 WIKA Gedung is a building construction subsidiary of PT Wijaya Karya (Persero) Tbk (WIKA Group). As of December 2015, WIKA Gedung is 99% owned by WIKA Group and 1% owned by WIKA Employees Cooperative. Achievement and performance of WIKA Gedung in 2014 shows positiove results. WIKA gedung registered total sales of Rp 1,218.86 billion in 2014. This reflected an 4.04% increase from Rp 1,171.50 billion in 2013. Total net profit continue to grow by 54.87% to Rp 65.37 billion from Rp 42.21 billion in 2013, according to PT Wijaya Karya (Persero) Tbk Annual Report 2014 as cited by JobsCDC.com. Minimum background in Diploma Degree (D3), majoring in Civil Engineering. Minimum 2 years of experience in high rise building projects. Able to create, control and monitoring and evaluation the scedule in using Microsoft Project (required). Discipline, loyalty, responsible and dedicated to the company. Hardworking and able to work under pressure / deadlines. Able to communicate, coordinate and cooperate with team (required). Willing to work overtime (required). Willing to be placed in all working areas of company (required). JobsCDC.com now available on android device. Download now on Google Play here. Please be aware of recruitment fraud. The entire stage of this selection process is free of charge. PT Wijaya Karya Bangunan Gedung - D3 Schedule Engineer WIKA Group October 2016 will never ask for fees or upfront payments for any purposes during the recruitment process such as transportation and accommodation.